Key Difference: Christmas is celebrated to commemorate the birth of Jesus Christ, son of God. 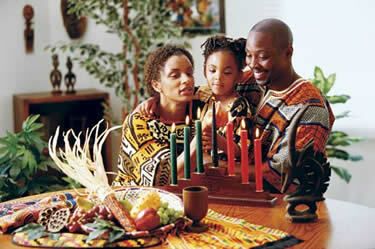 Kwanzaa is celebrated by African American people to show unity and fight against oppression. 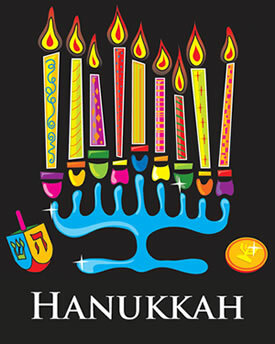 Hanukkah is celebrated by Jewish people to commemorate the successful reclamation of the Second Temple. The month of December is known to bring many different holidays, of which Christmas, Hanukkah and Kwanza are the most popularly known. However, many people often believe that Kwanza and Hanukkah are variants of Christmas that are celebrated by other cultures, such as the African Americans and the Jewish. This is not the least bit true, it is important not to confuse these holidays in order to not hurt the sentiments of different people. Kwanzaa and Hanukkah are important holidays that reflect the African American culture and the Jewish culture, respectively. 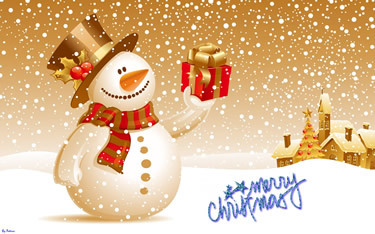 Christmas is a popular holiday that is associated with the Christmas tree, Santa Claus, and lots of presents. Although, the celebrations now include these things, Christmas is and always been about the birth of Jesus Christ, the Son of God. Jesus of was born by virgin birth to Mary and her husband, Joseph. In many places, Christmas is associated with the nativity scene, in which Mary and Joseph travel from Nazareth to Bethlehem for the census and Jesus is born and laid in the manger. People from all over the world, including astronomers followed the Star of Bethlehem in order to bring gifts to the newborn. However, Christmas is also considered with a mix of all different traditions from even before Jesus was born. Centuries before the birth of Jesus, the Norse in Scandinavia celebrated Yule or the winter solstice. The celebration of the Yule log is associated with this tradition. Christmas is now associated with Santa Claus as the bringer of presents to children that behave. Santa Claus can be dated back to Saint Nicolas, a monk born in 280 A.D. He was a popular saint among the Dutch people who used to help the poor and the needy. Kwanzaa is a week-long spiritual festival celebrated among the African Americans celebrated in the United States and in the Western African Diaspora in other nations of the Americas. It is celebrated from 26 December to 1st January and can sometimes be celebrated with Christmas and New Years. Kwanzaa was created by Maulana Karenga in 1966 and was celebrated in the same year. The name Kwanzaa is derived from the Swahili phrase “matunda ya kwanza”, meaning "first fruits of the harvest". Kwanzaa is rooted in the Black Nationalist movement of the 1960s and was established as a way to help African Americans to connect with their African culture and historical heritage. Although, Karenga initially established the holiday as an alternate to other religions, he quickly changed it stating that it is not to replace any religion and that people could celebrate Kwanzaa along with Christmas and other religious holidays. So, people need not belong to a religious background to celebrate this holiday. Hanukkah is a Jewish festival that is celebrated to commemorate the rededication of the Holy Temple (Second Temple) in Jerusalem. It can be dated back to the 2nd century BC and lasts eight nights. It starts on the 25th of Kislev, which can fall on anywhere between November and December on the Gregorian (Western) calendar. The legend behind Hanukkah goes something like this according to the Book of Maccabees. When Judah was captured by King Antiochus III the Great of Syria, he allowed the people to continue with their customs and religion. However, in 175 BC, Antiochus IV Epiphanes, the son of Antiochus III invaded Judea and destroyed their land and looted their temples. Antiochus IV Epiphanes demanded building an altar to Zeus at the Second Temple and prohibited anyone from practicing Judaism. Mattathias, a Jewish priest, and his five sons led a rebellion against the King. Following Mattathias’ death, his last son Judah became the leader. By 165 BC, their rebellion was successful and Judah and his people liberated the Second Temple. Following the cleaning and purifying process of the temple, the people looked for purified olive oil in order to light the tradition Jewish candle, or Menorah. However, they could only find one sealed and purified flash, marked with the Seal of the High Priest. Since, it took eight days to clean and purify oil, not enough oil was available to sustain the candle for that long. However, the oil lasted eight days and this was considered as a miracle. The eight days of Hanukkah along with lighting the candles for the eight nights are in order to commemorate this miracle. All of the holidays have certain things in common, including unity, celebration and sharing. All the festivals are celebrated with a feast and all family members and loved ones are invited join the festivities. The major difference includes how each festival is celebrated and the reason the festival is celebrated. While, Christmas includes exchanging presents, Hanukkah and Kwanzaa are not associated with gift giving. Kwanzaa and Hanukkah include lighting a light and a similar candlestick (Kwanzaa has 7 candles and Hanukkah has 9), while Christmas includes a decorated tree and in some homes the Nativity scene. However, all three festivals include loved ones, joy, laughter and food. Lighting candles, celebrating by showing unity and doing things for one another. Includes children and sharing libations. A Kwanzaa ceremony may include drumming and musical selections, libations, a reading of the African Pledge and the Principles of Blackness, reflection on the Pan-African colors, a discussion of the African principle of the day or a chapter in African history, a candle-lighting ritual, artistic performance, and, finally, a feast (karamu). Red, Black and Green to represent Kwanza colors. a decorative mat (Mkeka) on which other symbols are placed, corn (Muhindi) and other crops, a candle holder kinara with seven candles (Mishumaa Saba), a communal cup for pouring libation (Kikombe cha Umoja), gifts (Zawadi), a poster of the seven principles, and a black, red, and green flag. Blue and silver colors Music, food, the menorah, star of David, chocolate gelt and dreidel.